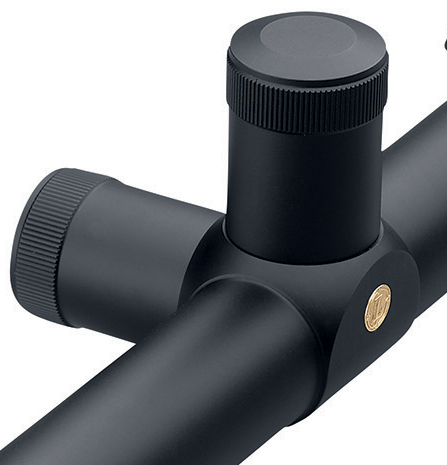 Leupold introduced Vari-X III Rifle Scope over 30 years ago. It was the revolutionary product at that time. Vari-X III was a great start of the whole new line of rifle scopes. VX-3 is the latest scope of that line. Hunter’s passion, excitement and commitment to their hobby are still the same as it was thirty years ago. However their equipment has changed significantly during this time. Leupold VX-3 has some functions that were significantly improved: optical characteristics, work of the internal mechanisms, durability, etc. This rifle scope sets the new standards on the market for a long time. The model’s line of Leupold VX-3 is incredibly wide. There are 28 scopes with different features and each of them comes with few different reticles and different finish/color. There are total of 78 options to choose from. It is very easy to get confused when you are trying to find something for yourself and are facing this huge variety of choices. However before we will take a comprehensive look at all those models we would need to know the meaning of all the features Leopold offers along with the different reticles in VX-3 series. Leupold VX-3 is based on more than hundred years of experience in the hunter optics field. 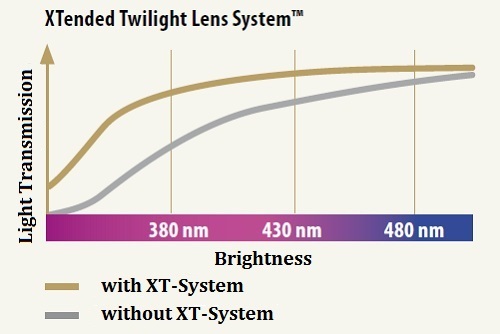 Unique Xtended Twilight Lens System™ perfectly works in lowlight conditions transmitting more light at the sunset and the sunrise. 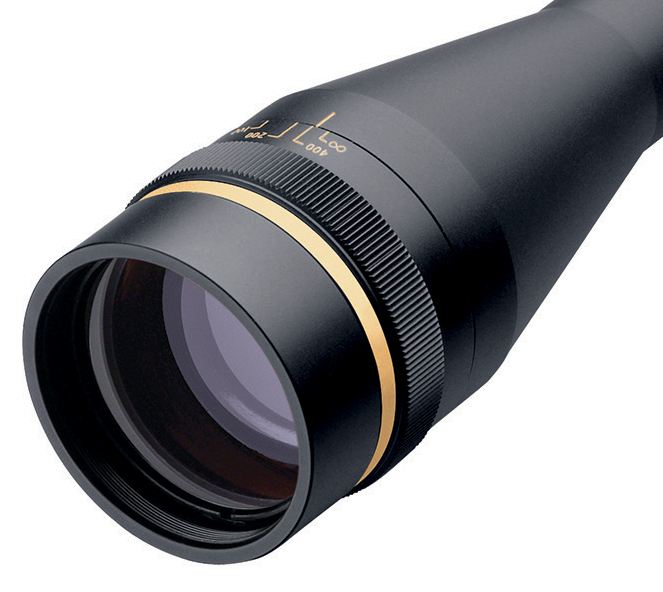 To implement this system Leupold covers lenses of the scope with the different types of coating. This is a specific type of coating that allows transmission of more light in blue/violet color spectrum. This color dominates in the dusk unlike the green part of spectrum to which the human eye is more sensitive. That is why if your scope will cut most of the blue/violet color of spectrum you will not be able to see well. Thus Leupold’s engineers use coating that allows more light to be transmitted in the dusk and does not sacrifice the balance of colors at the same time. As a result Leupold VX-3 allows you to see more details at the low light scenes in much greater definition and brightness than scopes of any other manufacturers. Now you can hunt till the dark. External lens’ surfaces of VX-3 scopes are covered with Diamond Coat 2. This coating increases the light transmission and scratch resistance. The tinted edges of the lens reduce the glare and provide better resolution and contrast. Some of the Leupold VX-3 scopes have Custom Dial System that allows you to make elevation adjustment matching ballistic characteristics of specific load and caliber. Special bullet drop compensation regulator for specific caliber is included in the price of all VX-3 CDS models. These regulators are manufactured by the special department of Leupold. After purchasing the Leupold VX-3 with CDS you can contact the manufacturer and they will send you the regulator for the specific ammo that you use. You can make elevation adjustments matching ballistic of your bullet. It is easily adjustable with your fingertips. Adjustments are made with ¼ MOA increment or 1 cm increment (for the models with metric). Some of the Leupold VX-3 scopes are equipped with the additional turret for the side focus. It allows you to manually perform parallax adjustments or in other words – focus your rifle scope. This turret is at the left side of your VX-3 scope so it is really comfortable to focus your scope while you look through it if you are the right handed persons. Instead of Side Focus some VX-3 scopes have Adjustable Objective. The purpose of it is the same as of the Side Focus – parallax adjustments or focusing (whatever you prefer to call it). However it is not so comfortable to do it while you are looking trough the rifle scope as with Side Focus turret. Long Range and Target shooting are all about adjustments. To make precise shot at the long distance you constantly need to make elevation adjustments to compensate the bullet drop and windage adjustment to compensate the influence of the wind. That is why Leupold VX-3 scopes with high magnification have large turret adjustments. These models have word “target” in their name. It is very easy to do the adjustments even with the gloves. The rest of the Leupold VX-3 features are the same as in many other Leupold scopes of new generation. That is why we will just briefly go through them. Body of VX-3 is made from aircraft aluminum 6061-T6. It has low weight and very durable. 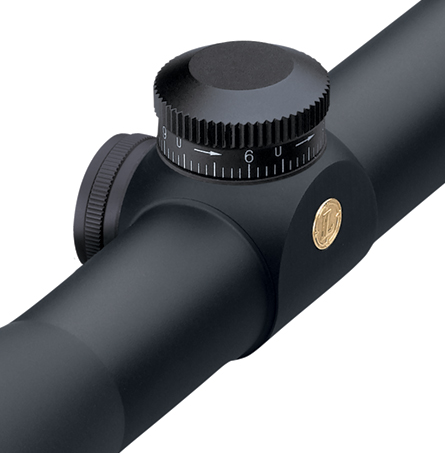 These Leupold scopes have waterproofing and fog proofing of second generation. VX-3 is filled with the mix of inert Argon and Krypton gases. Because of that the effect of thermal shock is nearly eliminated. Depending on the model you choose – there are 1 inch or 30 mm main tube diameter. 30 mm tube is a little bit larger than 1 inch. I will not specify which models have 30 mm tube and which of them have 1 inch tube. There is no difference between them from functional point of view. You just need to know which one you have in order to buy the proper size of mounting rings. All Leupold VX-3 scopes have 24K Gold Ring which means they are the subjects to Leupold Lifetime Warranty. It does not matter whether you are the original owner or not – Leupold will repair or replace your scope for FREE. There are 12 reticles that come with Leupold VX-3 scopes. Based on their functions I will divide them by three groups: Regular, Ballistic and Illuminated reticles. VX-3 Regular reticles: Duplex, Heavy Duplex, Fine Duplex, German #4, Target Dot. There is no need to explain what Duplex reticle is. Heavy Duplex is simply duplex reticle “in Bold”. It is better visible in the dusk and on the brush wood background. For more precise aiming Fine Duplex has the thinner line than Duplex which won’t obscure small targets at long range. German #4 is the combination of German #1 and crosshair reticles. It has two horizontal lines as duplex and a vertical post. There is a thin crosshair at the center of the German #4 reticle. It allows you to make a quick aim if there is an animal running toward you and make precise aiming if you have time. 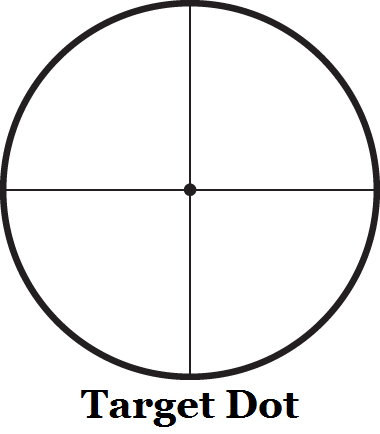 Target Dot is the dot of conventional shooter that seems to “float”. The crosshair here is extremely thin. This reticle is a good choice for the target shooting and for precise aiming if you have a time. 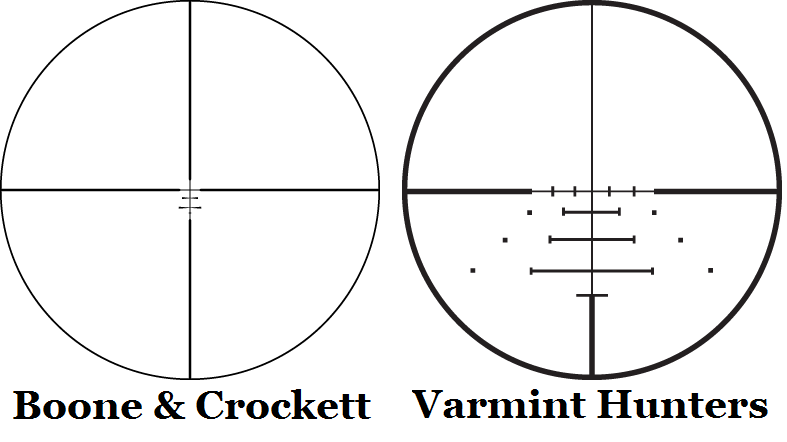 VX-3 Ballistic Reticles: Boone & Crocket, Varmint Hunters. These reticles are the part of Leupold’s Ballistic Aiming System. Each reticle has a few aiming points. The first one is the intersection of horizontal and vertical lines at the center. It is sighted in for the distance of 200 yards for most common calibers. These reticles provide you with two different power selector rings and allow you to select the hold points for different cartridges that you use. Both reticles have the fine lines for the aiming points that will not obscure small targets at the long range. Just like all the ballistic reticles these ones allow you to choose the right hold over point considering bullet drop and wind influence. There is not enough room in this article to fully overview these reticles; however I will do it in my future articles. 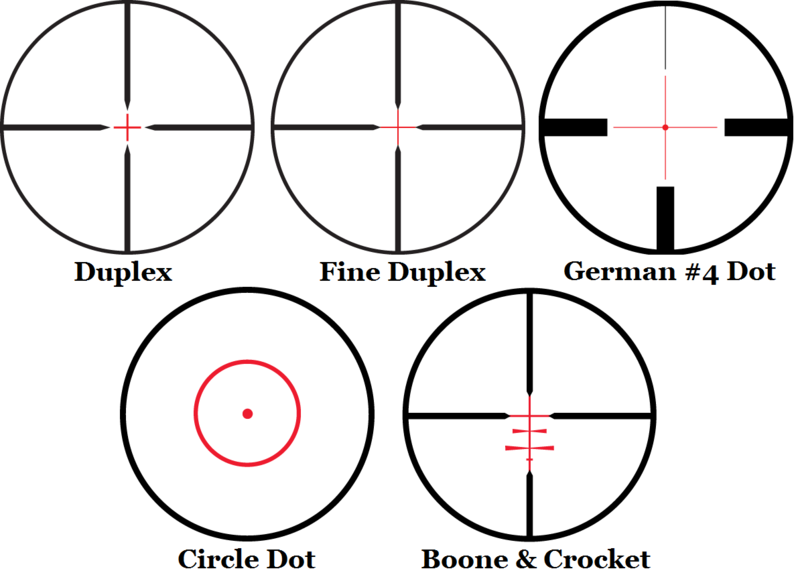 VX-3 Illuminated reticles: Duplex, Fine Duplex, German #4 Dot, Circle Dot and Boone & Crockett. In the VX-3 Series Leupold implemented its illumination of the third generation. The reticle became 30% brighter. Such scopes have 8 levels of intensity: 4 levels for daytime and 4 levels for the dusk conditions. It gives you more flexibility at the different light conditions. VX-3 scopes with the illuminated reticle have the motion detector that turns off illumination if there is no movement within 5 minutes. It will immediately activate illumination when you start moving. Note that not the whole reticle is illuminated. Thin crosshair at the center is illuminated part of the duplex and fine duplex reticles. 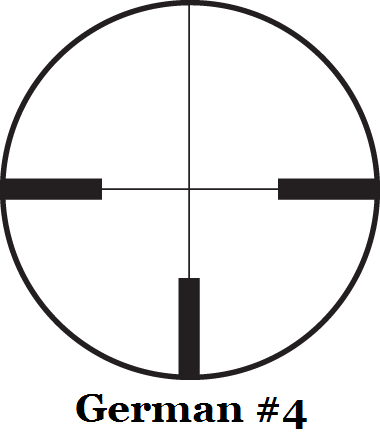 German #4 Dot has the illuminated crosshair along with the dot in the center. As you can see from the name Circle Dot of Leupold VX-3 has illuminated circle and the dot at the center of it. There are no lines in this reticle. Crosshair along with the horizontal fine lines for the holdover is illuminated in the Boone & Crockett reticle. Now when you know the meaning of all those abbreviations and what every reticle does it is the time to see what Leupold offers in their VX-3 series. 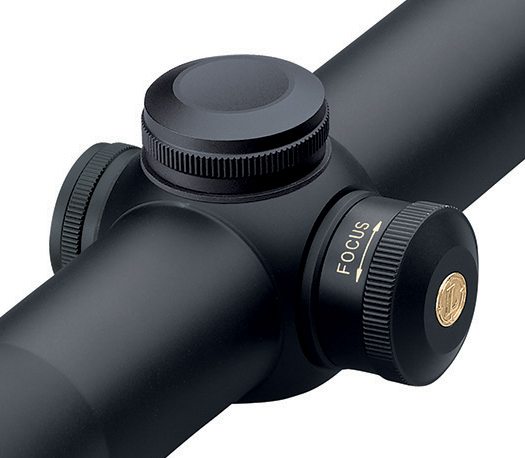 If color/finish is not specified then this scope comes in matte black. VX-3 1.5-5×20 that comes with Duplex reticle (matte black, gloss black), Heavy Duplex and German #4 reticles. VX-3 1.5-5×20 Illuminated that comes with illuminated Duplex, German #4 Dot and Circle Dot reticles. VX-3 1.75-6×32 that comes with Duplex and Heavy Duplex reticles. VX-3 2.5-8×36 and it comes with Duplex (matte black, gloss black, silver) and Boone & Crockett reticles. VX-3 3.5-10×40 it comes with Duplex (matte black, gloss black, silver) and Boone & Crockett (matte black, gloss black, silver) reticles. VX-3 3.5-10×50 it comes with Duplex (matte black, gloss black, silver), Heavy Duplex and Boone & Crockett reticles. VX-3 3.5-10×50 CDS it comes with Duplex reticle. VX-3 3.5-10×50 Illuminated it comes with illuminated Duplex, German #4 andBoone & Crockett reticles. VX-3 4.5-14×40 it comes with Duplex (matte black, silver), Boone& Crockett(matte black, silver) and Varmint Hunters (matte black, silver). VX-3 4.5-14×40 CDS it comes with Duplex reticle. VX-3 4.5-14×40 AO it comes with Duplex, Fine Duplex, Boone & Crockett andVarmint Hunters reticles. VX-3 4.5-14×40 AO CDS it comes with Duplex, Fine Duplex, Boone & Crockett andVarmint Hunters reticle. VX-3 4.5-14×50 it comes with Duplex (matte black, silver), Heavy Duplex, Boone & Crockett and Varmint Hunters. VX-3 4.5-14×50 CDS it comes with Duplex reticle. VX-3 4.5-14×50 SF it comes with Duplex (matte black, gloss black), Fine Duplex,Boone & Crocket and Varmint Hunters. VX-3 4.5-14×50 SF CDS it comes with Duplex reticle. VX-3 4.5-14×50 SF Illuminated it comes with illuminated Fine Duplex, German #4 Dot and Boone & Crocket reticles. VX-3 6.5-20×40 AO it comes with Fine Duplex, Target Dot and Varmint Hunters Reticle. VX-3 6.5-20×40 SF it comes with Fine Duplex (matte black, gloss black, silver) and Varmint Hunters (matte black, silver) reticles. VX-3 6.5-20×40 EFR Target it comes with Fine Duplex and Target Dot reticle. VX-3 6.5-20×50 SF Target it comes with Fine Duplex (matte black, silver), Target Dot and Varmint Hunters (matte black, silver) reticles. VX-3 8.5-25×50 SF Target it comes with Fine Duplex, Target Dot and Varmint Hunters reticles. This entry was posted on January 23, 2014, 4:16 pm and is filed under Reviews. You can follow any responses to this entry through RSS 2.0. You can leave a response, or trackback from your own site. Enter your email address to follow my blog and receive notifications of new interesting posts about Rifle Scopes by email.